The entertainer’s dream! 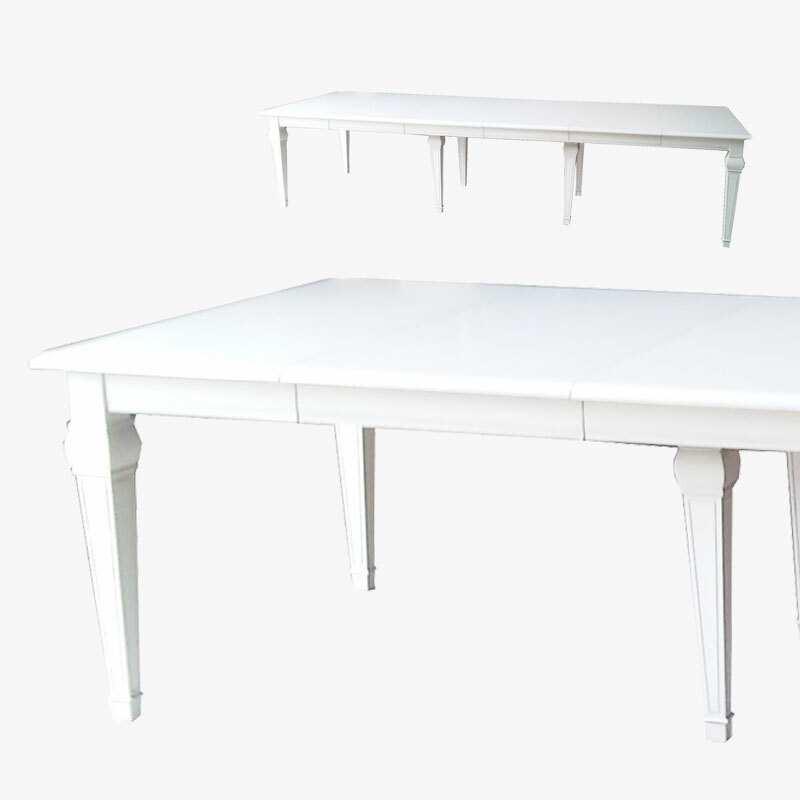 Wine and dine up to 14 people with the gorgeous antique white Toulouse Dining Table (3.5m in length when fully extended). Featuring rubbed edges and made from solid Acacia combined with an MDF top, this extendable table is as solid as it is versatile. When fully extended includes an extra set of legs.